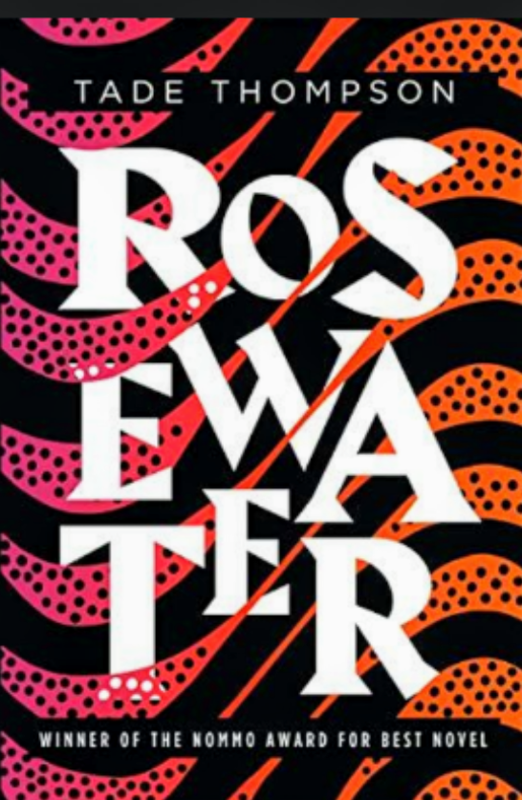 In “Rosewater,” Thompson refreshes the meaning of tropes that have dwindled into derivative clichés, including aliens, first contact, telepathy, biological/mechanical hybrids, post-colonialism, and the future nature of work, family, and society. Of particular value is his exploration of how rare talents and powers are just as dangerous as they are beneficial without recognition and guidance, training and discipline. I agree that the protagonist is at first extremely self-absorbed and unappealing. Yet when you consider the average adolescent male, then “gift” him with bizarre and terrifying mental powers unique in history, what is the likelihood he will grow into a polite, compassionate and courageous adult? It would take decades just to gain any sense of control over his own mind. I found it encouraging that Kaaro was able to conduct moral debates with himself on the nature of fidelity, feel sorrow for past actions (especially when “virtual” and “real” are so difficult to distinguish), and finally FINALLY take that poor injured street dog to the vet–although even this was part of an alibi, not a selfless act! Thompson takes the ordinary “now”–dysfunctional families, collapsing economies, secret government agencies, environmental hazards, political corruption, eternal greed–and with abrupt, almost magical twists, builds a future world that changes our view of this world irrevocably. I want more! UPDATE: The second book in the trilogy appears in March. It’s now in my Wish List.